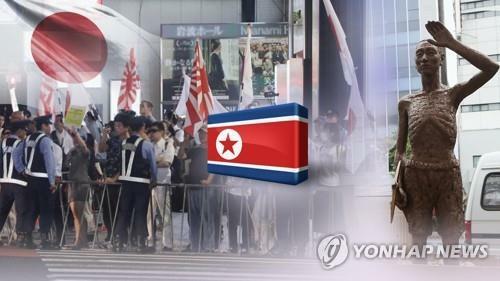 The North’s Korean Central News Agency (KCNA) said in a commentary sent Tuesday that Japan has again showed its impudence and shamelessness by vowing to take a tough countermeasure against South Korea’s court ruling and take the case to the International Court of Justice. “Japan is just going so preposterously that its conduct cannot be described with even such expressions as impudence and shamelessness. The international community is greatly astonished by it. Japan has no reason to protest against that judgment,” the English-language KCNA commentary said. South Korea’s Supreme Court ruled late last month that a Japanese steel firm should compensate four Koreans mobilized into forced labor during the 1910-45 colonial rule, rejecting Japanese claims that all colonial-era compensation claims were settled under a 1965 treaty signed by the two countries when they normalized diplomatic relations. But Japan called the judgment “absurd” and a “challenge to the international community,” the KCNA commentary said. It noted that Japan forcibly brought more than 8.4 million young and middle-aged Korean men to battlefields and labor sites through abduction and haul-off and the sites of slave labor where Koreans toiled still exist in Japan. “So, Japan is obliged to make a sound apology and national reparation to the Korean people for its crime-woven past when it inflicted the loss of manpower and mental and physical damage upon them,” the commentary said. “Japan is behaving just like a guilty party filing the suit first. Such conduct is reminiscent of gangsters and hooligans,” it said, accusing the government of Japanese Prime Minister Shinzo Abe of pushing ahead with constitutional revision and a scenario for building a military giant.